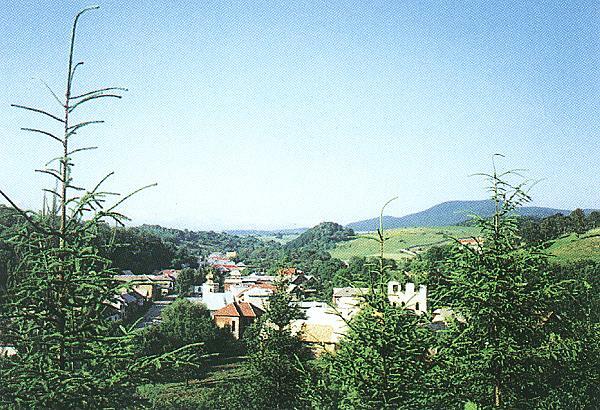 The village of Dubravica is situated in the southern part of Zvolenska vrchovina (Zvolen's highlands), nearby the stream of Zolna and on the way from Banska Bystrica to Hrochot. The earliest reference of the village dates from 14th century. It belonged to a few powerful owners. In 1540, Jan Dubravicky - the Earl of Kremnica - started with iron mining in the village. The gothic Church of St. Zofia which was built in the 16th century. The interior is decorated by a few late gothic and baroque arts. Rennaisance manor house, also situated in the village, dates from the early 16th century. Unfortunately, it is only a ruin at the moment. The wooded sculpture dating from 16th century is also a valuable artistic feature of the village.